But now… some things have changed. Younger parents aren't sure that an unambivalent appreciation of America is the right thing to teach modern children. And as for those who create the popular culture, well-grounded patriotism is no longer the style. Unfortunately, this trend has only gotten worse in the last 25 years. In 2011, a Pew study found that only 32 percent of millenials thought that America is the greatest country on Earth. The notion of American exceptionalism is dwindling. But, one organization wants to change that. 1. What one thing would you do as President "just because you could”? Read whatever files there are that haven’t been released about JFK’s assassination. My favorite teacher was my mom. I was homeschooled from 6th-9th grade. It was the most intensive learning experience I ever had. High school and college didn’t come close to the influence that those years had on me. 4. What's your favorite movie line and who would you like to say it to? From Field of Dreams: “Hey dad, wanna have a catch?” I’d say it to my dad. 6. What’s the best present you ever received? A pair of seats from Dodger Stadium. They are in my office. Based on reaction, when I gave my daughter a motorized scooter. You’d have thought I handed her keys to a Ferrari. Yes, they said don’t trust big government or big business. 12. Tell me about the moment you decided to enter the political arena. There wasn’t a clear moment that I decided to enter the political arena. I was involved in politics at a very young age. 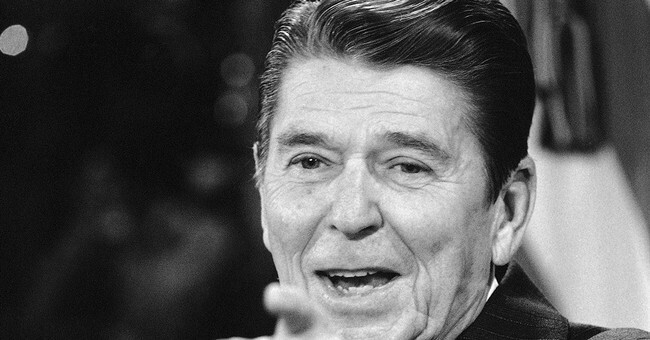 As a 10 yr-old in 1980, my mom sat me down with a phone list and told me to “call these people and tell them to vote for Ronald Reagan.” It was all the Republicans in Navajo County in Arizona - and it took me less than an hour because there were so few Republicans. Then, for the next couple weeks, I called Democrats and got to experience first-hand the growing “Reagan Democrat” effort. While I clearly had the politics bug from a young age, I actually wanted to be a TV anchor. When I was told I had a face for radio, I opted to stay with politics.